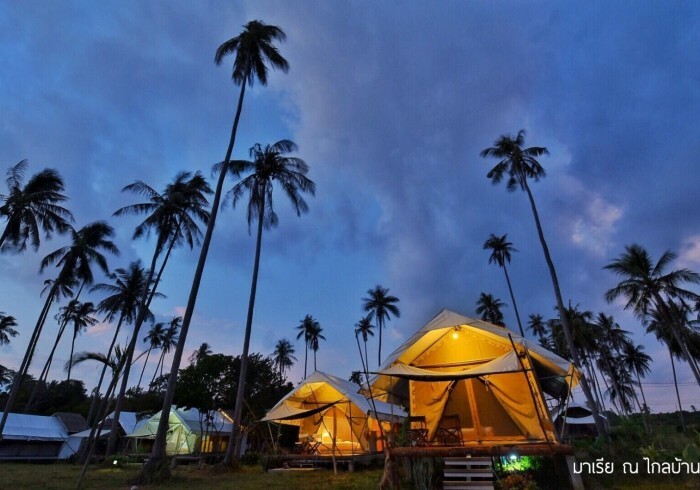 Located 1.2 km from Ao Nid Pier, Naivacha Tent offers accommodation with a private beach area, a terrace and free shuttle service for your convenience. Free WiFi is provided. A fridge and kettle are also available. Guests at the tented camp can enjoy a Full English/Irish breakfast. Mortorbike, Bicycle as well as Kayak (normal Kayak and cleared Kayak) rental service is available at Naivacha Tent. Police Station is 1.3 km from the accommodation, while Ao Suan Yai is 3.6 km from the property. The nearest airport is Trat Airport, 95 km from the property. Couples particularly like the location — they rated it 8.5 for a two-person trip. This property is also rated for the best value in Ko Mak! Guests are getting more for their money when compared to other properties in this city. We speak your language!